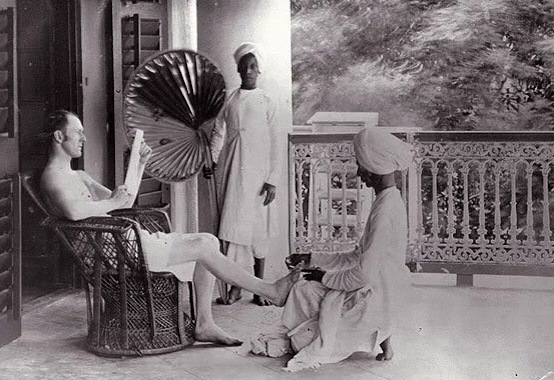 For over a century, the British Empire exerted control over Asia-Pacific, outright colonising India, Burma, Malaysia, Hong Kong, Singapore and Australia while influencing and encroaching upon greater China, Siam and beyond. It exploited the people and natural resources of the region, fuelled conflict as it waged war with rival European powers seeking to carve out their own colonies in Asia and left an enduring impact on the region, including ethnic and territorial feuds still unfolding today, e.g. the Rohingya crisis in present-day Myanmar. Rather than make restitution for its decades of war, conquest and exploitation, the United Kingdom today eagerly seeks to reassert itself in the region alongside the United States who has also spent over a century in the region pursuing what US policymakers openly admit is American "primacy." The Diplomat, a US-European geopolitical publication focused on Asia-Pacific, described this development in its article, "The British Are Coming (to Asia)." 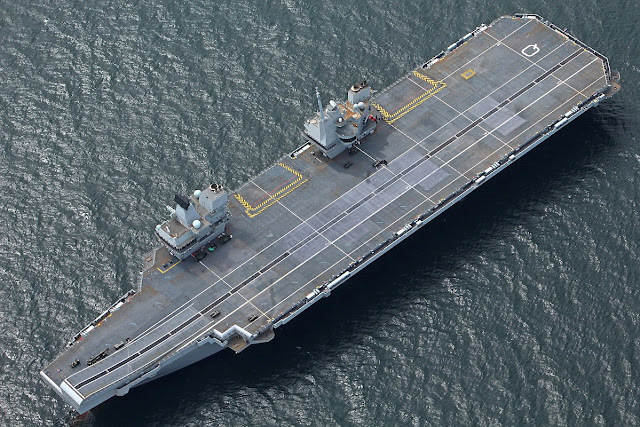 The article featured a single image, that of the HMS Queen Elizabeth, one of the UK's newest warships and its largest. It is one of two "colossal warships" UK Foreign Secretary Boris Johnson recently pledged to send across the globe to aid Washington in its growing confrontation with Beijing. The author, US Air Force Major John Wright currently serving as Japan Country Director, International Affairs, Headquarters Pacific Air Forces, Honolulu, Hawaii, attempts to construct a positive argument for the UK's involvement thousands of miles from its own shores. The article admits that the US has few capable allies in the region willing to "comply with mutual defence needs beyond their own territory." It admits that the US has increasingly looked beyond Asia for partners. The UK then, is about as beyond Asia as any potential partner could be. ...the U.K. could revive the old trick of acting as a “fleet in being;” its ability to steam where and when it pleased while possessing no major territory would throw off regional rivals’ military calculus and force them to commit precious reconnaissance assets to monitoring the United Kingdom. In other words, a European military would be deployed in and harass "rivals" across Asia alongside US warships already engaged in regional meddling. This, the author concludes, "would be a great benefit to stabilising the security troubles of the region." Yet, when considering what actually drives "security troubles of the region," it is evident that the presence of US forces far beyond US territory, for example, stationed in South Korea and conducting military exercises along North Korea's borders in a deliberate attempt to provoke Pyongyang is the problem, not the solution. The addition of British warships and aircraft in the region will only further multiply "security troubles" evident in the author's own comments regarding the need for "regional rivals" to commit to tracking and keeping in check British warships. Omitted from Major Wright's nostalgic review of the UK's historic role in Asia-Pacific was the concept of "gunboat diplomacy," where the British Empire coerced Asian states into making lopsided concessions to London or face British naval firepower. 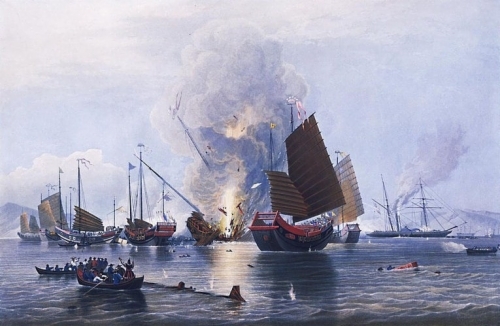 Chunks of Siam were carved off under threat of British "gunboat diplomacy," Hong Kong was outright seized by it and other nations likewise were forced by threat of military aggression to make concessions that benefited only the British. US "primacy" in Asia-Pacific today closely resembles British "gunboat diplomacy." While literal gunboats training cannons on the capitals of targeted states is no longer feasible, other means of coercion are. These include options categorised under "soft power" including US-European-funded opposition groups which may or may not include armed components. There is also economic warfare. 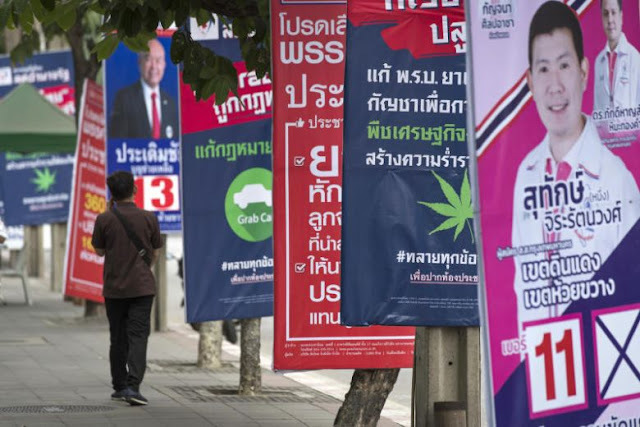 When Thailand ousted US-proxy Thaksin Shinawatra and his political allies from power, the US pursued a campaign of economic sabotage aimed at Thailand's seafood industry and tourism sector. The US also employs terrorism as seen in the Philippines where Manila's failure to heed US demands was swiftly followed by the appearance of militants from the Islamic State (IS) armed and funded by Washington's allies in Riyadh. The militant group's sudden appearance pressured Manila to continue accommodating the US military's presence on its territory. Of course, just as the British Empire hid naked imperialism behind the fig leaf of "spreading civilisation," modern-day neo-imperialism hides behind the pretext of bringing "stability" as well as fostering "democracy" and "human rights" to the four corners of the globe. In reality, UK warships confronting "regional rivals" thousands of miles from London is a direct attempt to upend stability in Asia-Pacific. The British imposing their will upon Asia through the threat of military might undermines regional and national self-determination, the very opposite of fostering democracy. And a nation imposing its will by threat of force is an obvious affront to human rights. Despite these obvious facts, we can expect publications like The Diplomat to continue promoting US-British meddling across Asia-Pacific. We can also expect the many aspects of US-European "soft power" across the region to likewise promote such meddling. However, it should be noted, that Washington's need to find allies in Asia as far beyond Asia as northwest Europe illustrates America's waning influence in Asia to begin with. British involvement in Asia-Pacific will only delay the inevitable removal of US influence from the region. The only question is, for how long and at what cost to both the British taxpayers and the people of Asia who must stave off attempts to disrupt, destabilise and destroy their hard-earned independence and achievements post-British Empire.